“The health workers attend to us with care, respect, love and we feel valued” says Margret, a clearly pleased pregnant mother attending eMTCT clinic at Kasanda HC IV. 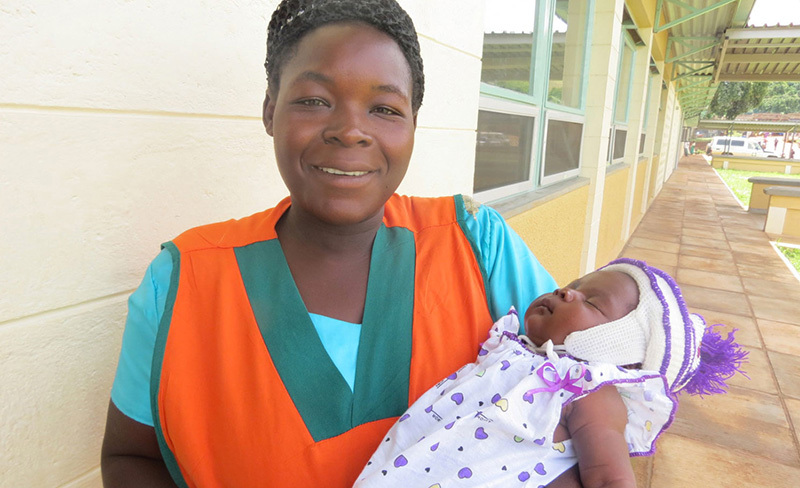 “I really appreciate our midwife and the peer mothers here, I used to fear coming for the services here but now I always look forward to coming for my appointment to interact and receive good care from the health workers” - Margret, adding that she had never received such quality services before at the facility. Five years ago, Kasanda Health Center would not have received such an endorsement. Strategically situated in a densely populated sub county of Kasanda, the facility serves a huge population of about 40,000. In 2010, the facility was not accredited to offer ART but was doing some HCT and linking positive clients to Mubende hospital which is about 20KMs from the facility. The staff had the willingness to serve but largely limited, the facility lacked most of the essential facilities and equipment; staff had not been trained and equipped with knowledge and skills to make Kasanda HC IV one of the model HIV care and treatment centers in the district. Today, the story is different at this facility. Through the Health Systems Strengthening project implemented by Mildmay Uganda with funding from PEPFAR/CDC, the facility has made positive changes to the community. The facility is now well equipped to offer comprehensive HIV/AIDS, Tuberculosis (TB), Family Planning (FP), Nutrition services. In four years, the facility has received a facelift on the Out-Patient Department (OPD), maternity wing, a renovated and well equipped HUB, standard placenta pit and a spacious waiting shade and over 20 staff trained in different skills in management of HIV, FP,TB, Nutrition, Gender Based Violence (GBV), and laboratory. Staff attribute much of their success to the supportive supervision (tailored to provider behavior change model) from Mildmay technical team and the District Health Office. The project has been a catalyst for change in quality of services delivered to the community. Kasanda health center is one the 198 facilities supported by Mildmay Uganda.